All companies, regardless of industry, strive to provide great customer service. But in the automotive industry, where car purchases can take hours of a person’s day, dealerships need to focus on providing a positive customer experience. Notably, the 2015 Driving Sales Consumer Experience Study estimated that automotive sales could improve as much as 24% if the customer experience were to improve across the industry. Although the customer experience begins online, a salesperson will first interact with a customer over the phone. 70% of the time, the primary reason customers are calling to ask if the car they have their eye on is still in the lot. Your job as a salesperson is to act as a friendly consultant that provides customers with a lot of information--even before they think to ask for it. These seem like fairly basic customer service tips, but you’d be surprised how many dealers don’t utilize them. When you’re having a conversation with the customer, it’s important to understand the difference between customer service and customer experience. When asking a customer for their contact information, be genuine and and sincere; it’s better to ask, “Whom do I have the pleasure of speaking with?” instead of “Can I have your information in case we get cut off?”, for example. 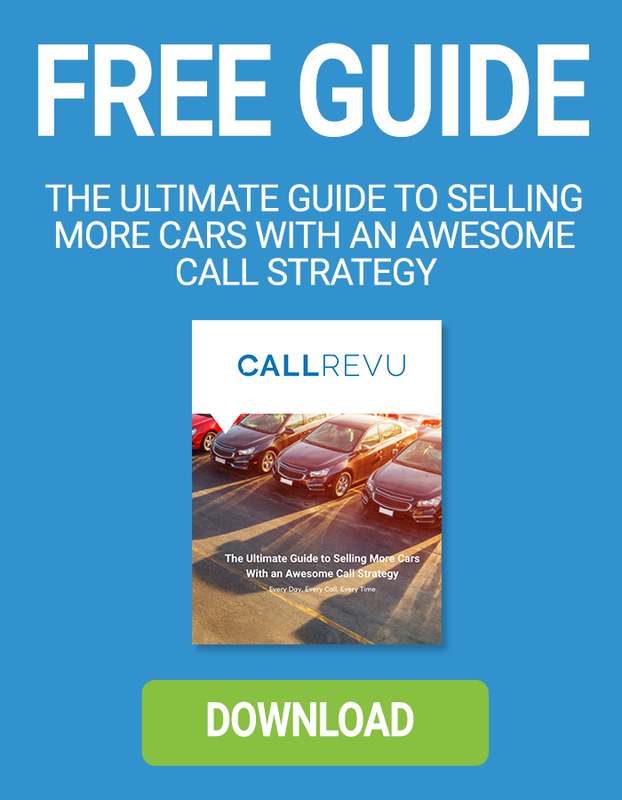 Notably, 50% of customers don’t supply their name or phone number on sales calls because they aren’t comfortable with the caller--or that dealers don’t know how to ask for this information in the right way. Dealers should act as consultants, friends, and personal representatives. While on the phone, make sure you give the customer more than they ask for. If the photos of the car they are interested in are stock photos on the website, for example, send them pictures of the actual car in your lot and gather the facts and history of the car. Your job is to help customers fall in love with the car buying experience, which is the opposite of the industry culture. Did you know 57% of the time, when the dealer answers questions completely and positively, the caller will ask for the appointment? You can imagine the effect this has on car sales. By the end of the call, be sure you’ve given the caller your contact information, including your cell number, so they can call and text you if that have any other questions. This may seem obvious, but the majority of salespeople neglect to give their name and number over the phone; never underestimate the value of personal touches. Customers only choose one or two dealerships to visit. That said, if they had scheduled an appointment, ensure that your team knows the person is coming so they are directed to the right salesperson. And, to wow them, pull the car they are interested in up to the front of the lot so the customer can see it right away. The experience that most customers expect is something out of a nightmare: when they head into the dealership, overeager salespeople swarm them, begging to get them into a car that they don’t want or can’t afford. Instead, the customer should be greeted by their dedicated salesperson and manager. Their time in the dealership should feel like a “red carpet experience”; you’ll want to custom tailor it to their needs. After all, buying a new car is an exciting purchase, so the experience should be fun! Time is the new currency--and considering the average dealership visit is 4-5 hours, you want to provide customers with an exemplary experience. Otherwise, they’ll feel like you’ve wasted their time. 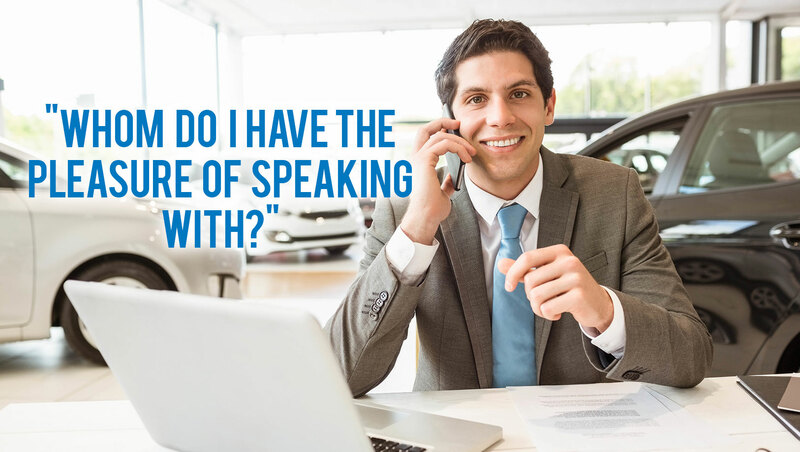 After the customer drives off the lot with their new (or used) car, be sure to give them a follow up call a few days later to make sure they’re happy with their purchase and to offer any additional services they might find beneficial. Sure, the car might be off the lot, but the customer is still your customer--if you provide the best experience, they’ll be sure to leave positive reviews online and tell their friends and family, which could lead to more business! With online car buying websites growing in numbers, offering customers the opportunity to avoid speaking to a person at all, it’s more important than ever to ensure a positive customer experience. After all, personal touches are still vital parts of customer service. While customers may own the car for a few years, but they’ll remember the experience of buying forever. Want to learn more? Sign up for free training by using the link below!